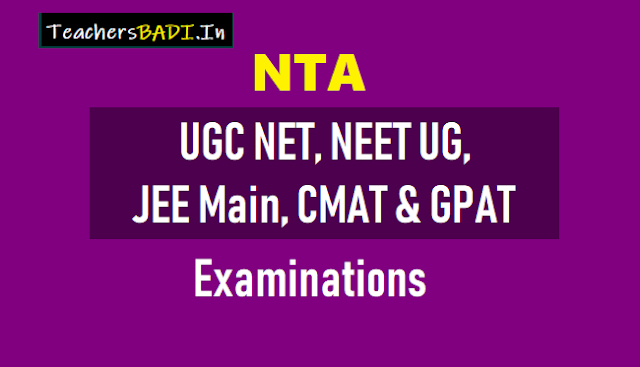 NTA to conduct UGC-NET, NEET (UG), JEE (Main), CMAT & GPAT Exams 2019: NTA to conduct entrance examinations for higher educational Institutions from next academic sessions onwards starting with UGC-NET Examination in December this year. JEE (Main) and NEET (UG) will be conducted twice before admissions to give flexibility for students-Shri Prakash Javadekar . New system of examination will student friendly, transparent, fair and flexible: HRD Minister. The Minister of Human Resource Development, Shri Prakash Javadekar has said that the National Testing Agency (NTA) has started its work and will be conducting various entrance examinations for higher educational Institutions from next academic sessions onwards. NTA.NIC.IN. NTA Natioinal Level Entrance Exams Schedule. Addressing a press conference in New Delhi today, he said that the NTA will bring qualitative difference in the examination process by its focus on research and scientific test design using services of Experts, Researchers, Statisticians, Psychometricians, Test Item Writers and Education Specialists. The item writers would be trained to ensure that the quality of questions is as per the test design. The experts, statisticians and item writers/subject matter experts are already identified for being inducted into NTA. The new system will be student friendly, fair , transparent and flexible, the Minister added.